What is Espirito Santo Aquamarine? Named for the Latin "aqua," meaning water, and "mare," meaning sea, aquamarine shimmers in oceanic blues and greens. While most aquamarine comes in a lighter tone, deeper shades are preferred. This March birthstone is a popular gem among high-end jewelry designers. Aquamarine is one of the most admired gemstones from the colorful beryl family, along with emerald and morganite, and is made of beryllium aluminum silicates. Natural beryl is colorless; however, its structure allows it to incorporate unrelated elements such as iron, manganese, chrome or vanadium. When iron is mixed with beryl, it turns into the soothing sea-blue treasure of aquamarine. Aquamarine was first discovered in India more than 2,000 years ago. Since ancient times, people have credited both paranormal and divine properties to it. The Greeks were the first to use aquamarine gemstone around 480 to 300 BCE. 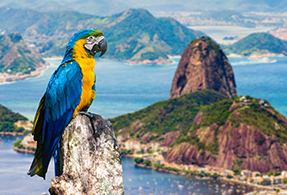 However, it only became popular after larger samples from Brazil surfaced in the market in 1910. Is Espirito Santo aquamarine valuable? The value of colored stones is typically determined by a combination of its color, clarity, cut, and carat weight. This is no different when determining what Espirito Santo aquamarine is worth. These guidelines will help you choose aquamarine stones for your collection. Contrasting to other colored gems, aquamarine’s value is determined primarily from its tone (degree of darkness or lightness of a color) rather than hue (the first impression of an object’s basic color) and saturation (a color’s strength and intensity). The beryl variety aquamarine, with blue to blue-green hues, is appreciated for its color. Purer and darker blue will command more value, and specimens with the grayish touch will be costlier than lighter specimens. Espirito Santo aquamarine with a light blue to deep sea green color also fetch great value for its natural beauty among gem collectors. While inclusions are one of the most prominent factors of aquamarine, visible inclusions can contribute in decreasing gemstone value. Transparent aquamarines with an icy quality add greatly to the gems value, even if it lacks in color. Espirito Santo aquamarine is cut by skilled gem cutters to enhance its tone. They are fashioned into traditional and fancy shapes. These include round, pear, cushion, marquise, octagon, trillion, and heart, among others, making them an ideal choice for contemporary jewelry styles. The brilliance of aquamarine is produced with Barion and deep emerald cuts. Today, lapidaries create a variety of designer cuts to reflect the beauty of this stone. Aquamarine occurs in large sizes and are available from below one carat to more than 10,000 carats. 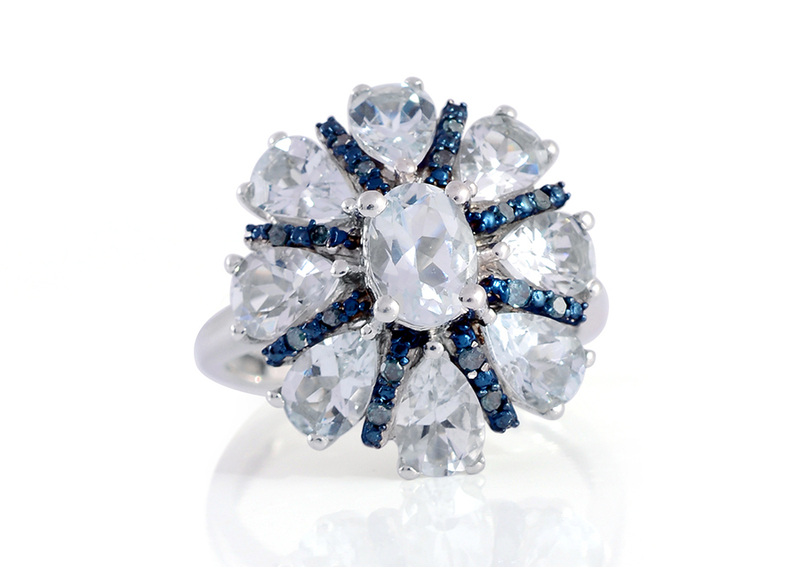 It is difficult to find the desirable blue hue in the stones below five carats. But that doesn’t mean that with increasing carat wight the price will also increase. Aquamarine with more than 25 carats sees significant price drop as it is so large that it is almost impossible to set in any jewelry. Is Espirito Santo aquamarine real? Espirito Santo aquamarine is a genuine gemstone. This aquamarine is heat-treated with the purpose of removing hues to produce a purer blue color. The treatment is undetectable and does not hamper the stability of the stone. The treatment does not affect the value of gemstone, though it commands a higher price for better color saturation. Aquamarine has a hardness 7.5-8 on the Mohs scale, and is a durable choice for any jewelry style if it is protected from hard knocks and scratches. Aquamarine color is stable. Still, it is recommended to keep it away from heat exposure. Ultrasonic and steam cleaning is usually safe, unless the gemstone contains liquid inclusions or feathers. Warm soapy water, a soft brush and dry cloth are excellent for cleaning aquamarine jewelry. Also make sure that you keep the jewelry draped in soft cloth so that the polish does not fade away. Who Can Wear Espirito Santo Aquamarine? With eye-catching and cool blue hues reflected in its name, aquamarine is an exceptional choice for any jewelry type for its cut versatility. The official birthstone for March, an aquamarine bracelet and ring set is a great birthday gift. Aquamarine has captured a significant place in the history. The existence of aquamarine jewelry is evident from Cleopatra to the Duchess of Cambridge in the form of exclusive tiaras, rings and even earrings. The cool blue is an all-round, all-year color. Aquamarine jewelry makes an excellent choice to offer your summer clothing a cool vibe while it brings an outstanding dazzle to neutral outfits on cold snowy days. It’s best paired with red, yellow, blue, white and even black! How Does Espirito Santo Aquamarine Compare to Other Aquamarine Stones? A relative of precious emerald, Espirito Santo aquamarine owns brilliant blue hues that makes a perfect companion to the any colored stone or clothing in your collection. 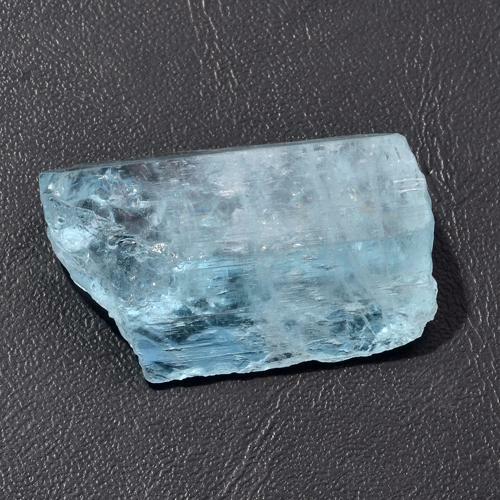 In comparison to Santa Maria aquamarine that displays deeper blue, aquamarine from the Espirito Santo mine features mellower tones of blue color. Consider Espirito Santo Aquamarine if you love blue topaz, sapphire, spinel, tanzanite, tourmaline and other bright blue gems! Where Does Espirito Santo Aquamarine Come From? The finest aquamarine once came from the Santa Maria mines of Brazil. However, after only two short years of mining, the Santa Maria reserves were exhausted. Also mined from Australia, China, Kenya, Madagascar, Mozambique, Nigeria, Pakistan, United States, and Zambia, today's best gems are sourced from the Espirito Santo mine in Brazil, which is also quickly running out of supply. Shop LC is proud to bring our customers aquamarine from the Espirito Santo mine for as long as this rare gem is available. How is Espirito Santo Aquamarine Mined? The mining of Espirito Santo aquamarine is classified into two categories. The first method includes material extracted from blocks, cut into slabs and then processed through a polishing process, followed by bush hammering or flaming. These are known as special finishing material. The second method includes the cutting and squaring of slabs with natural surfaces. This material is called as simple finishing material. Both the materials are readily available for commercial use. What Does Espirito Santo Aquamarine Mean? Every gemstone possesses unique significance. Aquamarine is believed to be one of the gifted gemstones that helps a wearer with its healing, metaphysical and spiritual properties. Aquamarine is associated with foresight, valor and happiness. As a healing stone, it eases anxiety and lessens the power of poisons. The serene blue of aquamarine is said to cool the temper, calm, cleansing and level-headed. Crystal healers believe it fosters intellect and maintains youth! According to legend, aquamarine was a treasure owned by mythical mermaids. Sailors wore amulets made from this gem to boost their courage, safeguard their journey and avoid seasickness. It is said that Sailors also wore aquamarine amulets to ward off the treacherous calls of mythical sea sirens. Aquamarine was thought to be exceptionally potent if it was stamped with the image of the sea god Poseidon's trident. In 1953, Brazil gifted a necklace with matching pendant and earrings made of aquamarines and diamonds to Queen Elizabeth II as a coronation gift. It took an entire year to gather and perfectly match the stones. The queen loved the gift so much that she commissioned a matching tiara in 1957. Is Espirito Santo Aquamarine a Birthstone? Espirito Santo aquamarine is recognized as a modern birthstone for the month of March. 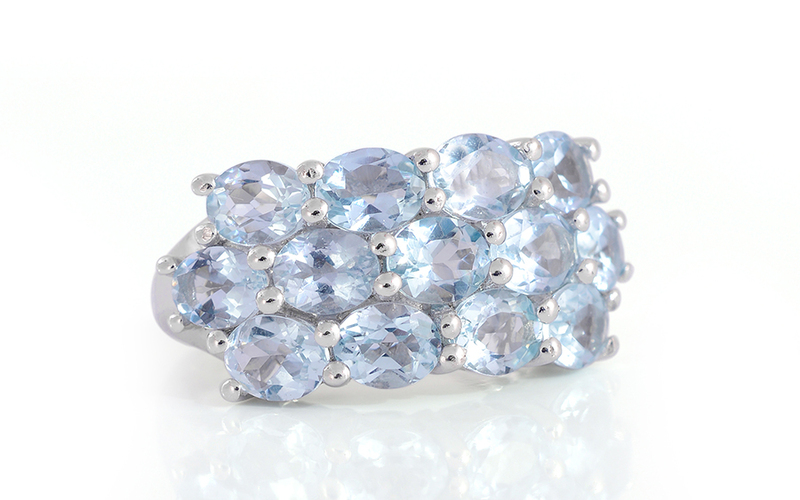 Finding its roots through history, aquamarine was well regarded for its exotic sea blue color. Ranks 7.5-8 on the Mohs scale of hardness. Color mimics the ocean, ranging from light blue to deep sea green. Sourced from the Espirito Santo mine in Brazil. 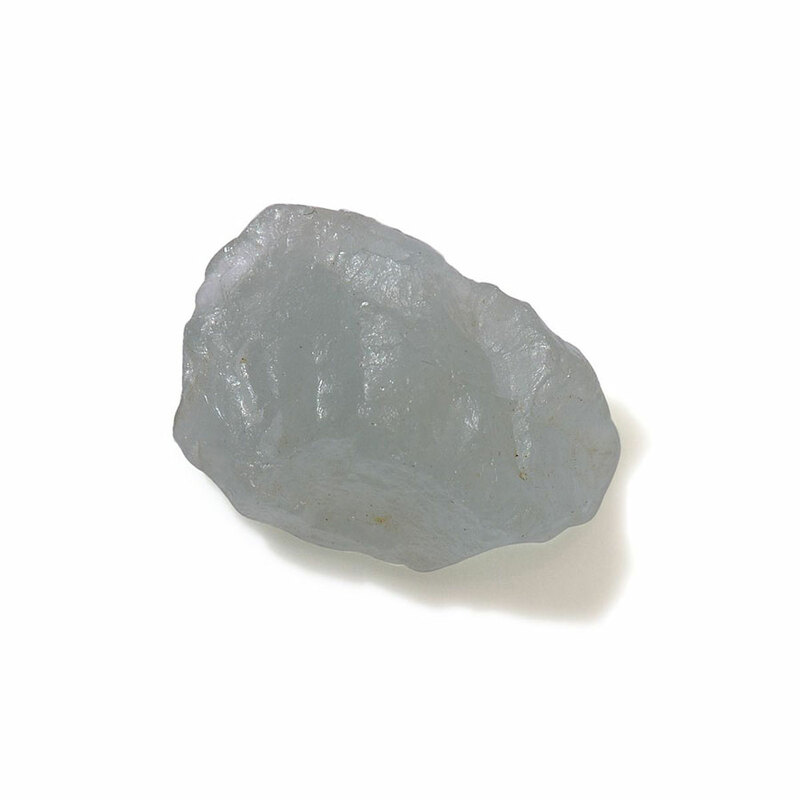 Most aquamarines are heat treated to improve color. Also known as Brazilian aquamarine.